The molarity of something is the number of moles of that thing per 1000 ml volume. Hence mass divided by molecular weight gives us the number of moles, so 1000 / 18.02 = 55.49 moles. If you are struggling with moles and molarity then you might find this blog post useful: Why is memorising the molarity formula a bad idea? In a moment of madness I decided to make an email Christmas card... Sounded like an easy task, but wasn't. For this I just use a camera mounted on a tripod. The tripod was needed as the final moving image was going to be a looping animated gif so the image frame needed to be steady. I decided to record a 10 second clip of the flashing lights so as to at least catch one complete cycle. (Originally I was going to use the live photo option in the iPhone and convert that to an animated gif (which is relatively easy to do), but I discovered that without a tripod the frame sides moved too much and so produced a very shaky final movie.). This was another relatively easy thing to do as I am very familiar with Camtasia 2, which I think is a great movie editing program. 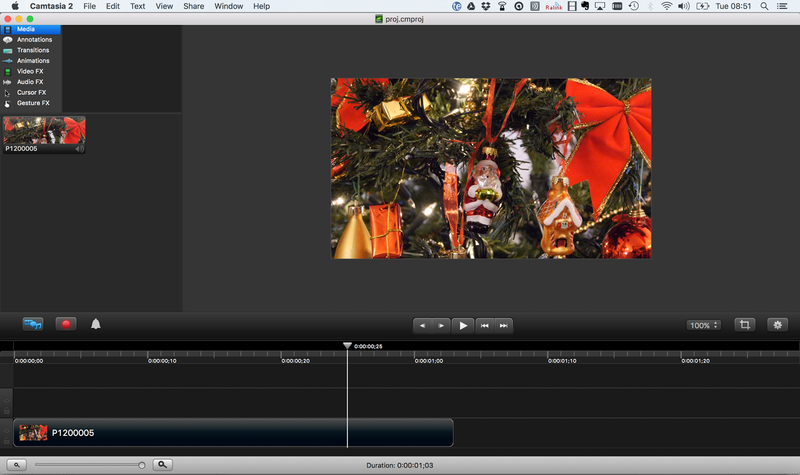 Using the program I was able to trim the original 10 second down to a 1 second cycle of the flashing lights. 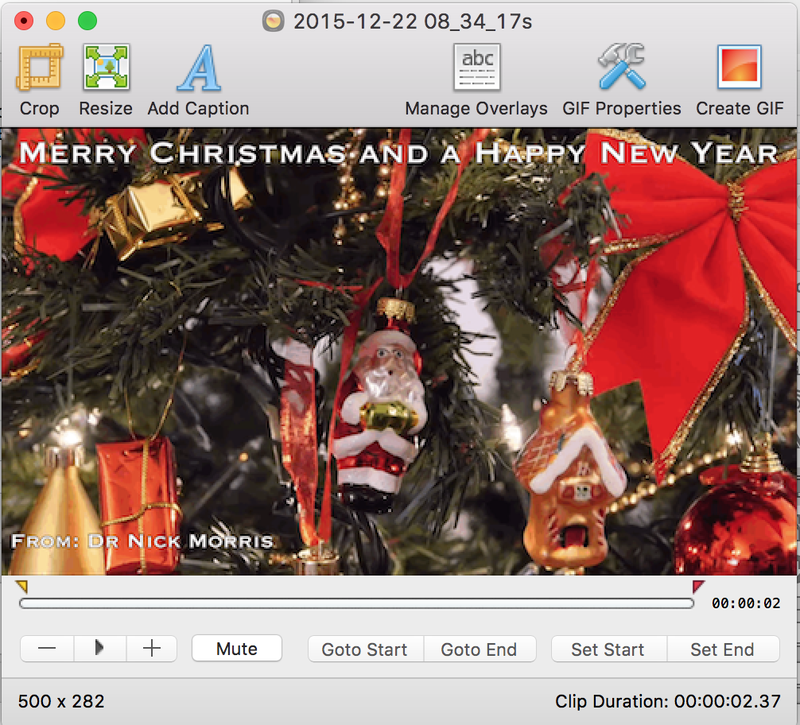 Conversion of the movie to a looping animated gif (I needed it looping so the lights were continuously flashing) was, like editing the movie, very straight forward as used GIFBrewer, which allowed further editing of the image, and the addition of text. Once I had the gif corrected, and had adjusted the size, I then exported the animated gif. The challenge here was to make it 'reactive'. I knew that to make the card I would have to write it in HTML (which I know), but I had to make the email 'reactive' so that it was readable on desktops, tablets and smart phones. Reactive design is not new, and it is something I have done in the past, but it can be tricky, especially when dealing with email, as opposed to browser, clients. Basically the way a reactive design works is that the layout and sizes of elements on the page are adjusted for the best look on the available screen space. That is, the design 'reacts' to fit the device. 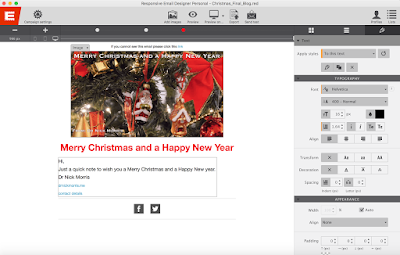 From Responsive Email Designer it was possible to set up the various breakpoint in the design for different screen sizes, and to produce the email that I wanted. However, there was a problem... 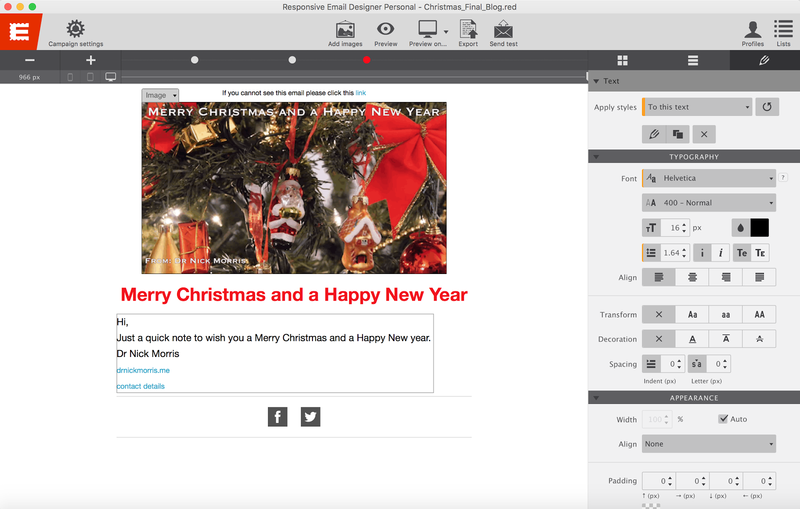 Responsive Email Designer does not support the bulk sending of emails. Of the two programs I looked at Mail Designer Pro 2 was the easiest to use (most Mac like), and was particularly good for entering the text, but weak on layout control, whereas Responsive Email Designer was excellent for layout, but truly terrible for entering text, and had some really annoying interface quirks. The final stage of the process I thought was going to be the easiest... How wrong I was! From the Responsive Email Designer program I had the final card. I had the HTML code, and all the css, but I couldn't send the card to my lists. 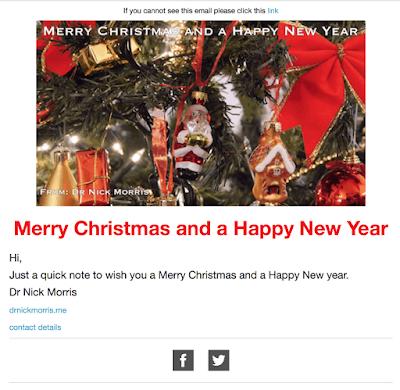 I could send it to myself, but when I tried to forward the card to my lists the responsive design broke. I tried viewing the card as a webpage and then using the built in feature on the Mac to email a webpage, but that also broke the responsive design. There is no way to add HTML code to a message in Apple Mail (there might be a way in which this can be done using the signatures but that looked like a really tedious hack that I didn't want to attempt). Microsoft Outlook used to have an 'Insert HTML' feature, but it has either been removed, or is now so well hidden I can't find it. And I also couldn't find a way to do it using the web interface. 1. Do you know where and when the exam is being held? 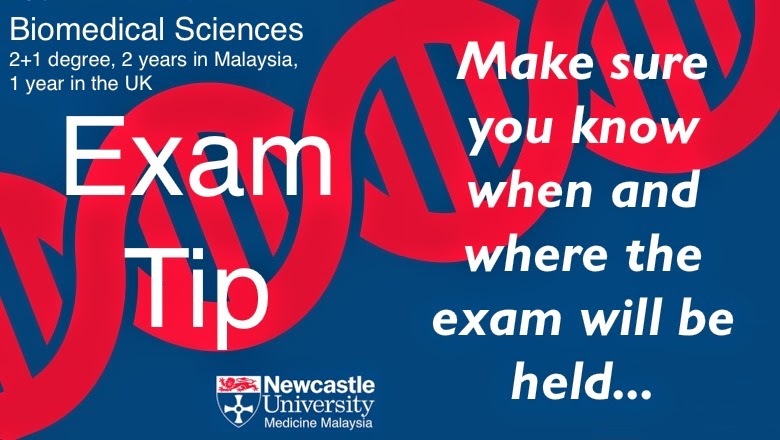 Sounds obvious but it is worth checking you know where and when your exam will be held. Nothing worse than spending weeks (hopefully) revising and then turning up at the wrong time and wrong venue and missing the exam. 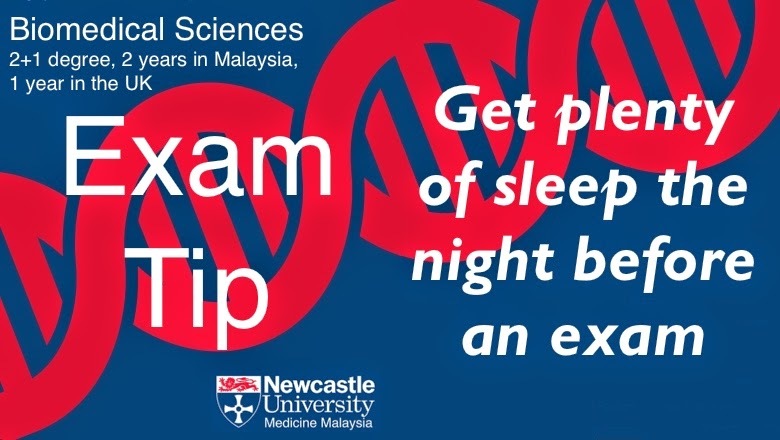 Also, make sure you set more than one alarm clock if your exam is first thing in the morning, or get a friend or parent to phone you up to make sure you are out of bed and heading to the exam hall. 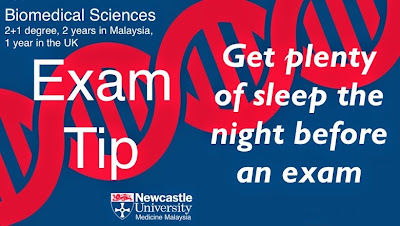 Try to get plenty of sleep the night before the exam. Being sleepy during an exam is not good. 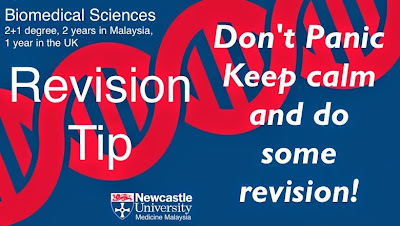 Don’t try to boost your alertness with caffeine etc., and do not pull an ‘all-nighter’ revising the night before the exam. That last minute ‘cram’ very rarely works. 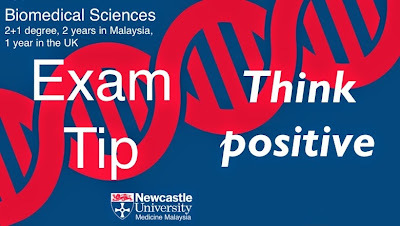 In an exam don’t panic, and think positive. If you encounter a question you don’t understand move on. Don’t sit there dwelling on it, leave it and come back to it later. Be positive. Don’t panic. 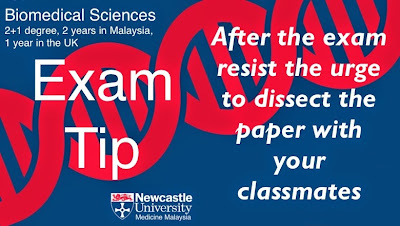 Do not post-mortem your exam as that will only cause anxiety and distress. 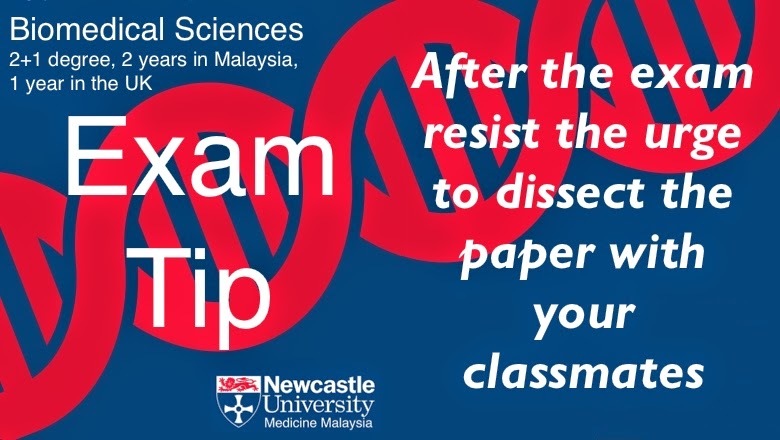 Resist the urge to talk to friends about the exam. 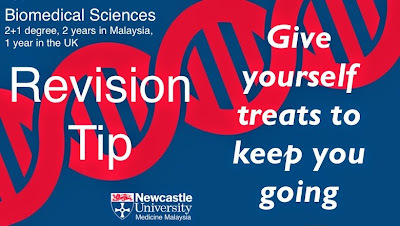 As soon as the exam has finished go off for a walk, or a treat, and don’t hang around with your classmates that think either they did brilliantly (“that was so easy!”) or who think they have failed (“that paper was impossible”). Resist the urge. Have a look at past papers and try some of the questions. 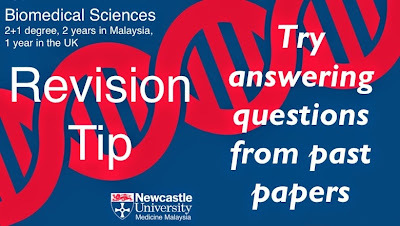 However, don’t fall in to the trap of thinking that just because a similar question has come up in recent years it will be on the next paper, or thinking that as a particular question hasn’t been seen for a number of years it must be due to make a return. Lecturers are sneaky…..
Revising for an exam is hard work, but if you work smart, and you start your preparation early you will reduce the risk of becoming a Zombie. Try to take breaks, do some exercise that clears the mind and gets the blood pumping to the brain. If you do become a revision Zombie please resist the urge to attack your classmates and eat their brains. 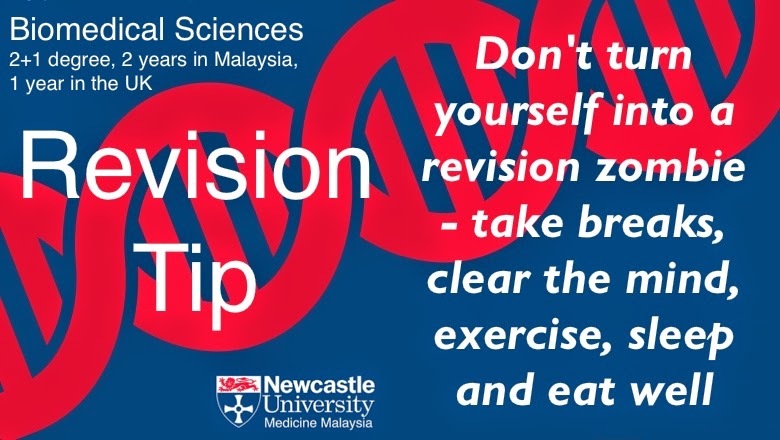 If you see a Revision Zombie RUN! Your brain is not a sponge, it needs to be exercised. If you went to the gym to get some exercise just standing there looking at the weights or the running machine is not going to do it. You need to be active, you need to be involved. The same is true of your brain. Just reading your lecture notes won’t do it. You need to be ‘active’. Read the notes, put them down (so you can’t see them), recall the material (re-write or redraw it), and then check it against your original notes. Doing this will strengthen the memory of the material. Your brain needs food, your brain needs oxygen. 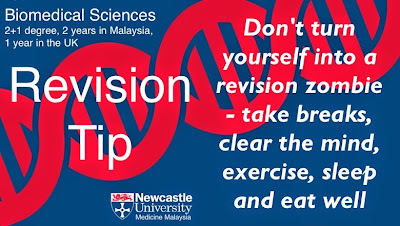 If you just sit there revising for hours and hours you are going to get slow, tired and sluggish, and your brain is not going to get the food and oxygen it needs to help you revise. Take a break, get up from the desk and go for a walk. Clear your brain and then come back and start revising again. You will be more productive and get more done. 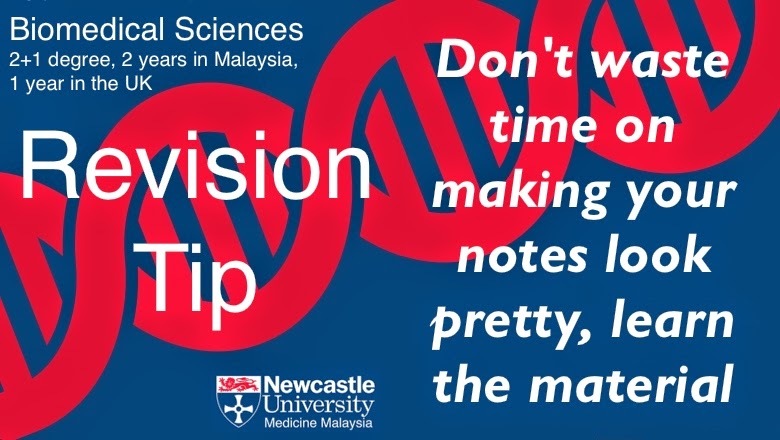 Don’t waste time making your revision notes look pretty. No one else is going to see them. 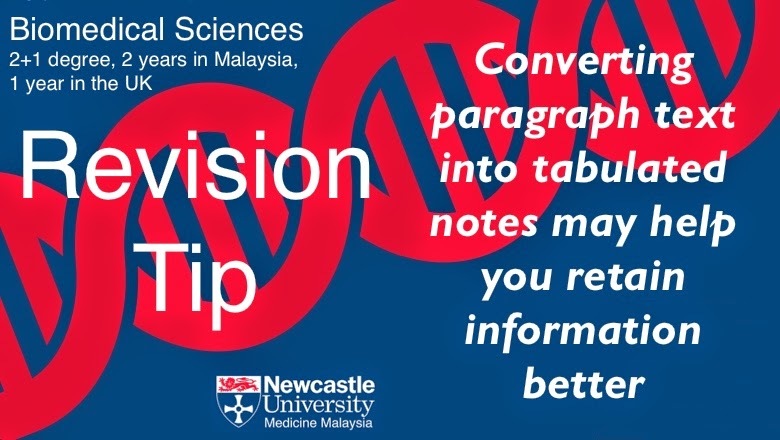 Your notes should be functional and clear. They should be concise. They don’t have to be pretty and all coloured in with tons of sticky notes on the margin. Use the time you have to revise smartly. 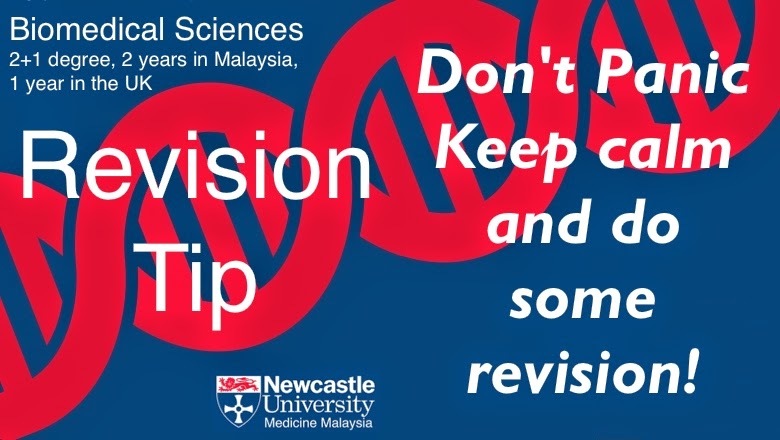 Revision is about revisiting material, you have hopefully already learnt, so as to refresh your memory. It is not about colouring in! 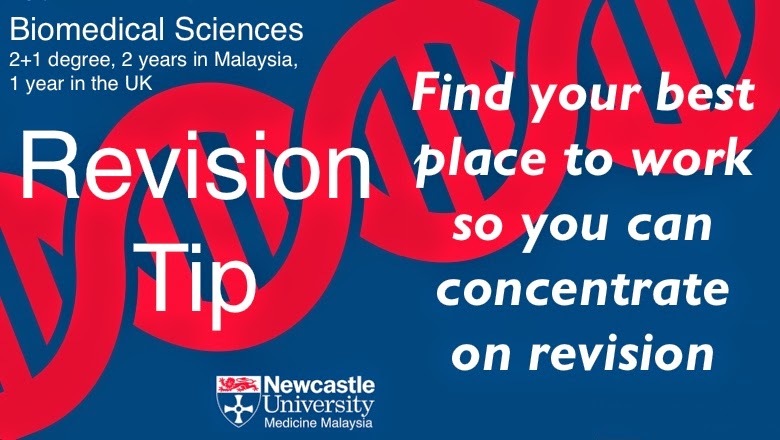 Find the best possible place you can for your revision. Ideally it should be somewhere comfortable (but not so comfortable that you fall asleep), somewhere that is quiet or noisy (depending on your taste) and where you have control over noise levels, and it should be somewhere free from distractions (smart phones, Twitter, Facebook, TV etc.). Once you have found your ideal place, use it! 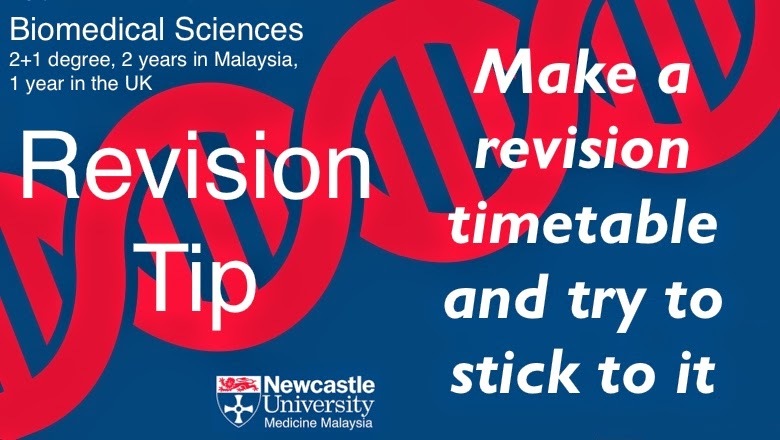 Make a revision timetable and try to stick to it. Work out how long you have to the exams and how long you have to revise each topic. 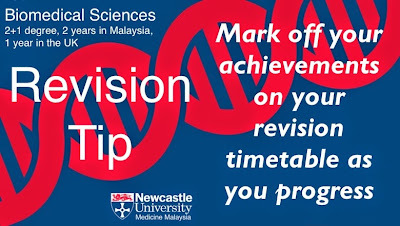 Don’t fall in to two of the classic revision timetable traps: 1. You spend so much time making your revision timetable that there is no time left to revise (see Rimmer in Red Dwarf for an example of that); 2. You spend all your time revising for the first exam and forget that there are two other exams a week later. Studies have shown that going to the gym after a period of study can help with the recall of the material. 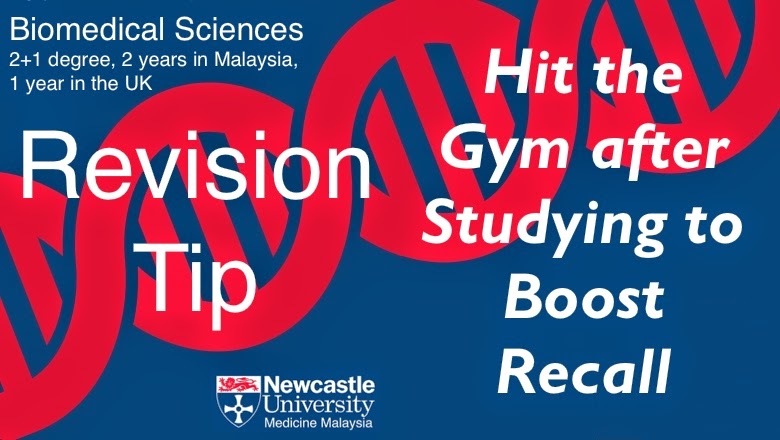 Don’t spend all your time revising, get some exercise and get your blood flowing around your body. Just reading your lecture or class notes is not learning the material. 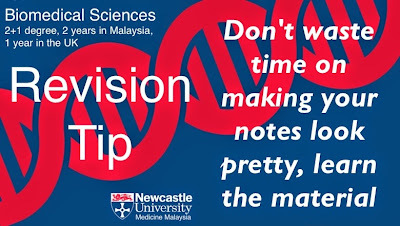 You need to be active to strengthen your memories and understanding of your notes. The easiest way to do this is to move the information in and out of your brain. 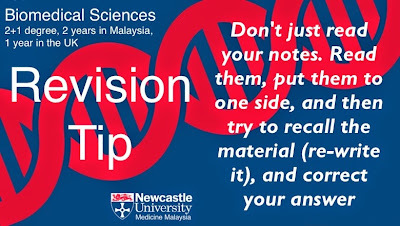 Read the notes, re-write them in a different style (or draw them as a mind-map or diagram) without looking at your original notes, and then check your new notes against the old. 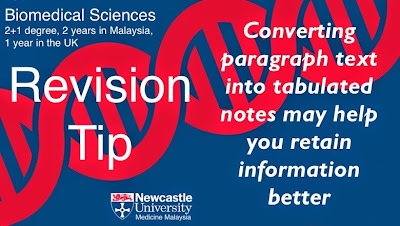 By doing this you have moved the information in to your brain (reading), out of your brain (making the new notes), and then back in and out of your brain as you correct your new notes against the originals. This approach to learning is backed up by a number of studies, and has been shown to work. Just sitting there reading the same thing over and over, or ploughing through your notes class after class is not learning, you need to alternate your activities to keep your mind fresh and to keep learning. 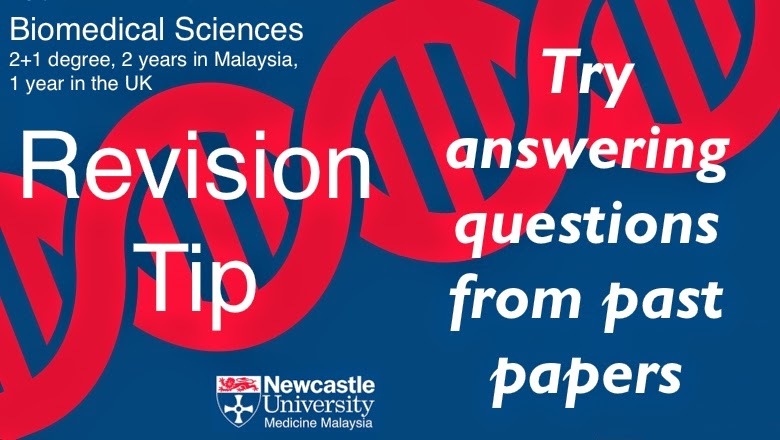 Try breaking your study up in to small chunks of learning followed by a small test to see if you have learnt and understand the material. Doing this will keep you fresh and alert, and speed up the learning process. You never know, it may even make it fun! When you are revising just reading the material is not going to make it stick in your brain so that you can magically recall it during the exam. You need to understand the material and make connections. 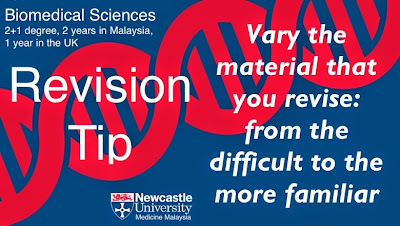 You need to summarise and process the material. Reading is passive, learning is active. Try reading the material and then after a shorty break try recalling the material, and checking your recall against your original notes. Doing this will test you so you will know how much you really understand, and it will help you strengthen the memory of that material. 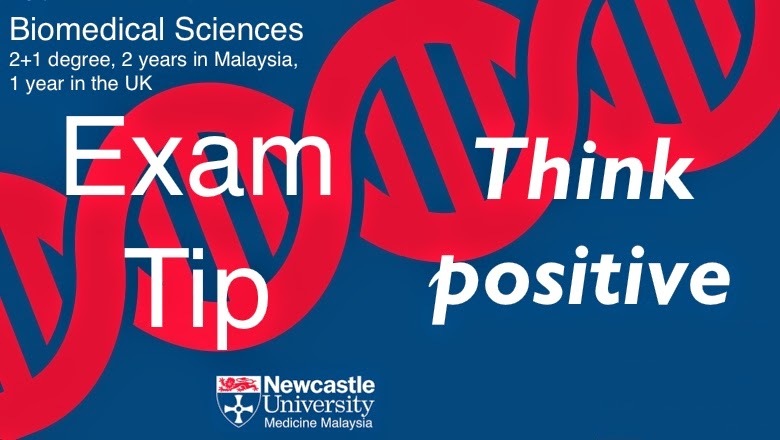 During the run-up to an exam it is very easy to dwell on little things that would normally be insignificant in your daily life and to start panicking. Don’t! Don’t listen to rumours, don’t dwell on the trivial, and if there is a problem speak to someone, a classmate, a teacher, a lecturer, or a parent. Key thing is not to panic, and to keep hitting the revision. 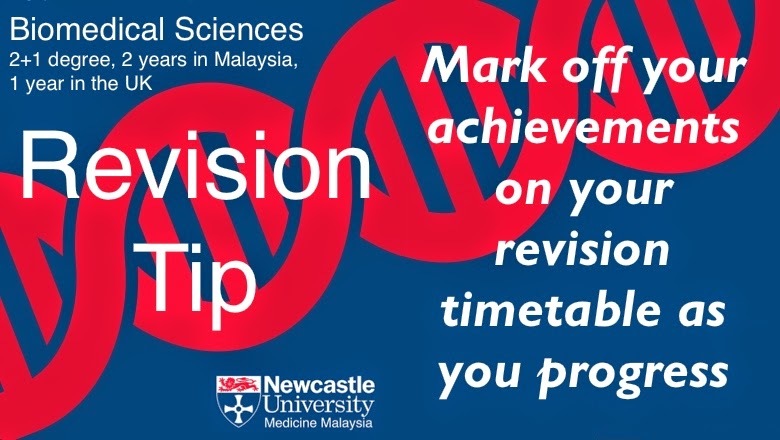 Hopefully you have prepared a revision timetable and you are following it. 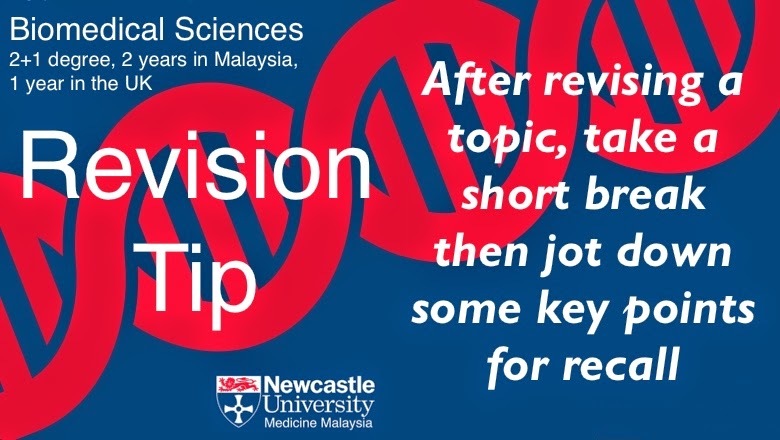 If you are then one handy tip is to mark off your revision as you do it as this will give you a sense of achievement and progress. It is always nice to tick something off on a todo list. Constantly revising is not going to work. You will get tired and inefficient. You need to break it up. The easiest way to do this is by giving yourself planned treats. For each revised lecture or class you could give yourself some time on Twitter or Facebook, or watch some TV. May be chocolate is your thing? If so, then for each 30 minute period of study you get two squares of chocolate or a biscuit (be careful though as this revision technique can lead to obesity). 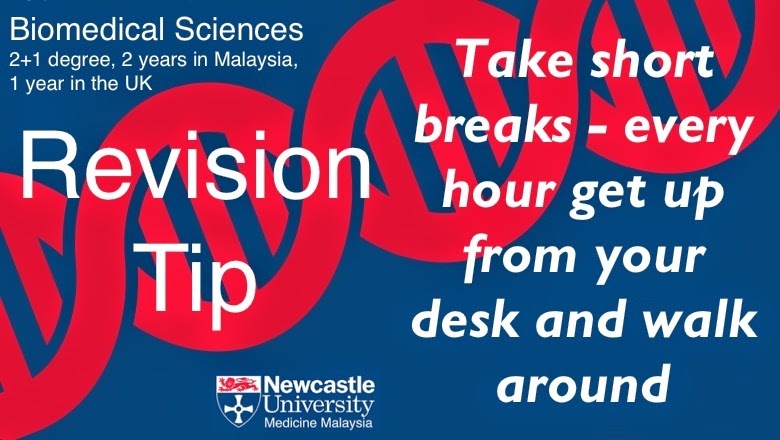 A slightly healthier option may be for every 30 minutes of revision you go for a short walk. The choice is yours - treat yourself for all your hard-work! 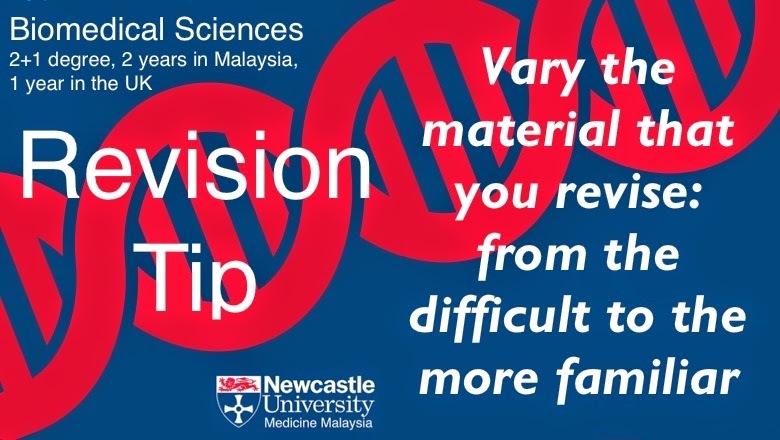 Try to keep your brain active by varying the material you revise. Try something really tough, and then switch to something easy. 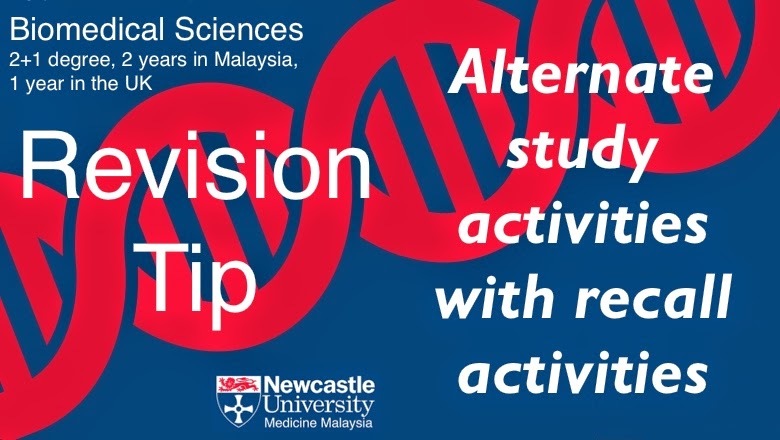 Mixing it up can help you retain information and improve your understanding. 17. 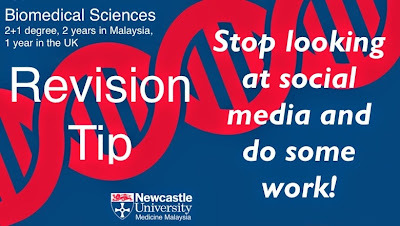 Stop looking at social media! Avoid temptation. 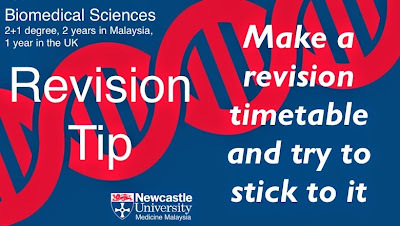 Try to get quality non-fragmented revision time. Stay off the social media. 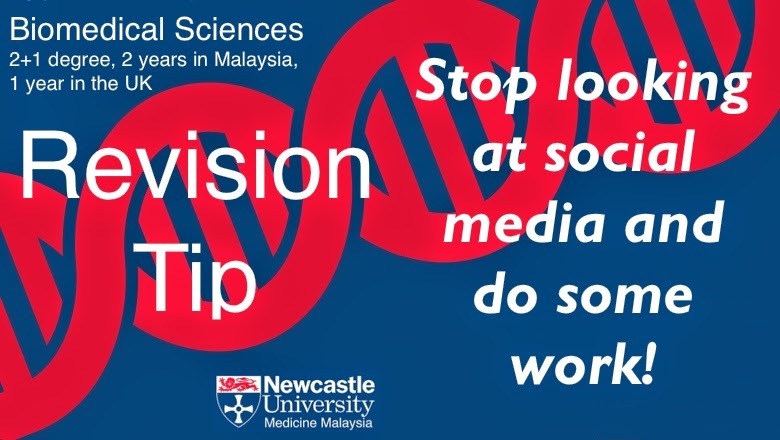 If you are a social media junky then use it as a treat to help you revise - for every 60 minutes of revision you earn 5 minutes on Facebook or Twitter. Put the phone down, lock it in a drawer, and resist the urge. 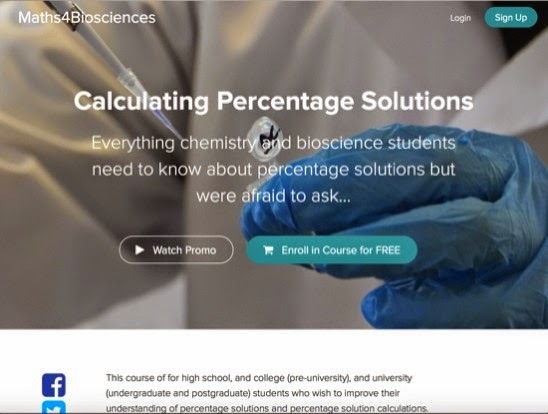 Percentage Solution Calculations - an online course...? I am always looking for new ways to deliver material online and recently I can across Fedora, which seems to offer an interesting solution, so I thought I would give it a try. 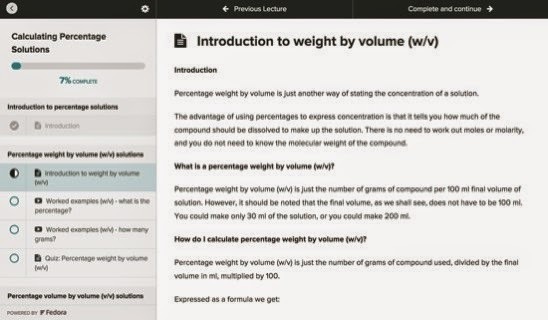 You can see my efforts at with a Percentage Solution Calculations course I have produced. Blog Post Bonus: Download a PDF on percentage solution calculations. What is interesting about Fedora is it follows a School | Course | Lecture model. So to me it feels familiar - that is, the structure is just like my day job! When you register on Fedora you create a School - in my case I created the Maths4Biosciences School. 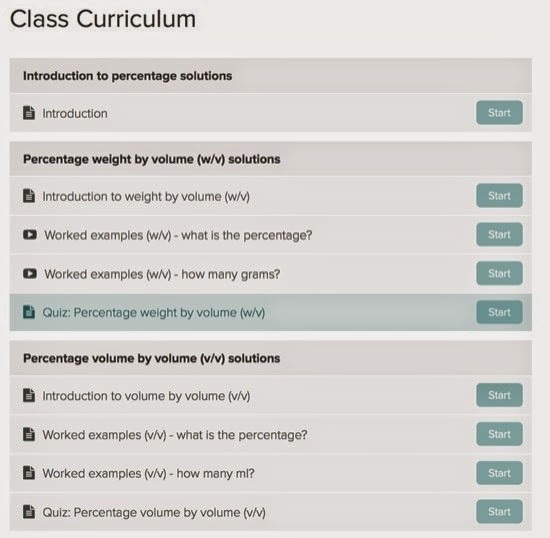 Once you have a School you can create courses, and I created a Percentage Solutions course. And with your course in place you can then add the lectures. 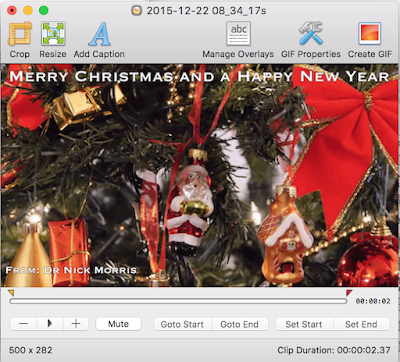 Each lecture can containing text, images, audio files, videos, quizzes, and discussions. Anyway, I was very impressed with Fedora. 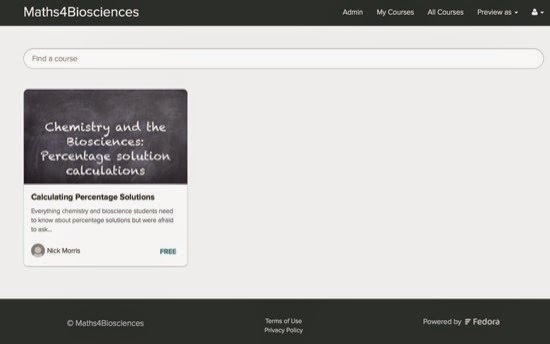 The site was very user-friendly, and it was surprisingly easy to construct the lectures on the Percentage Solutions course. I have also taken a number of courses on the site (they are there to help you get familiar with how Fedora works) so I have also experienced things from the students' perspective. I enjoyed the courses and found them useful, and as a student I found the site easy to use.